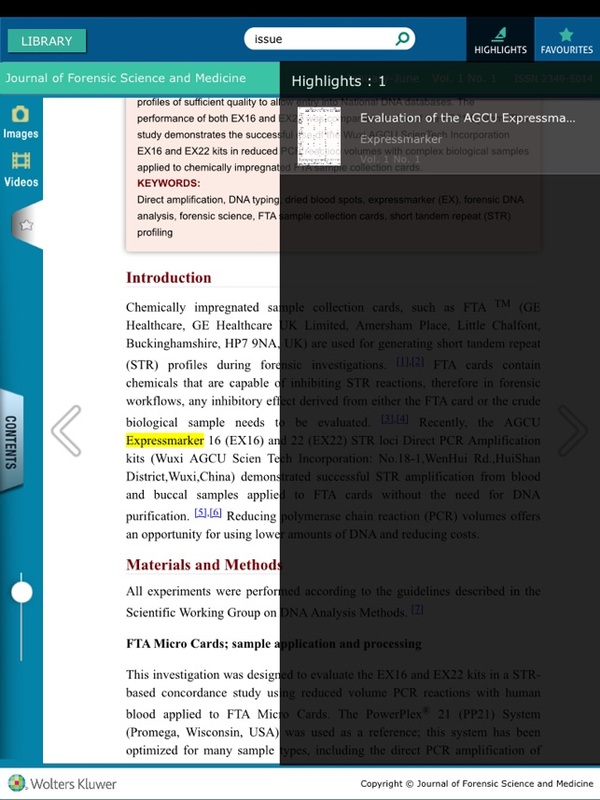 Medknow Publications and Media Pvt. 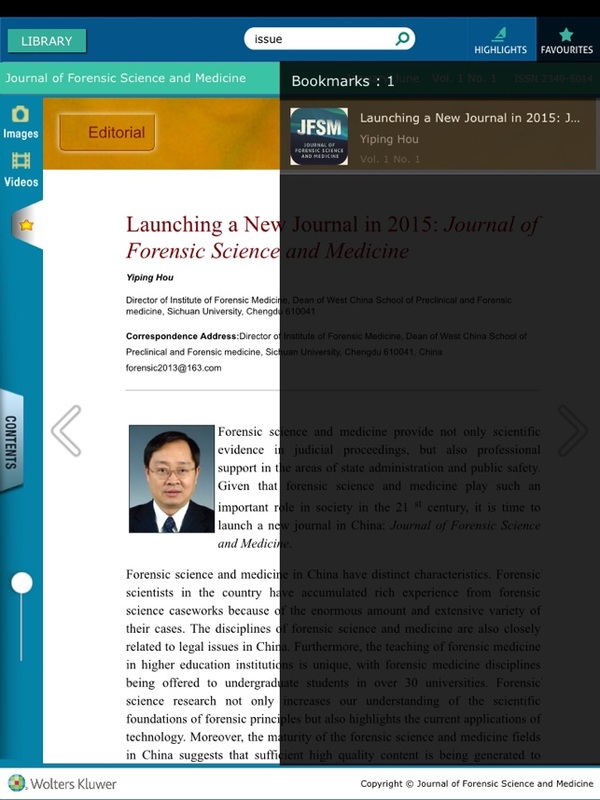 Ltd.
Journal of Forensic Science and Medicine (JFSM), the academic journal of the Institute of Evidence Law and Forensic Science, China University of Political Science and Law (CUPL) in China, is a peer-reviewed online journal with quarterly print on demand compilation of issues published. 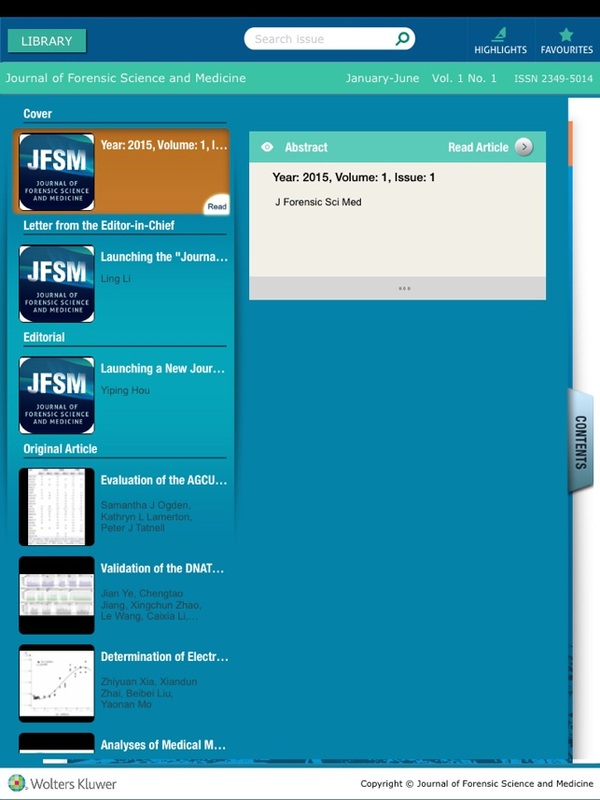 The journal’s full text is available online at http://www.jfsmonline.com. 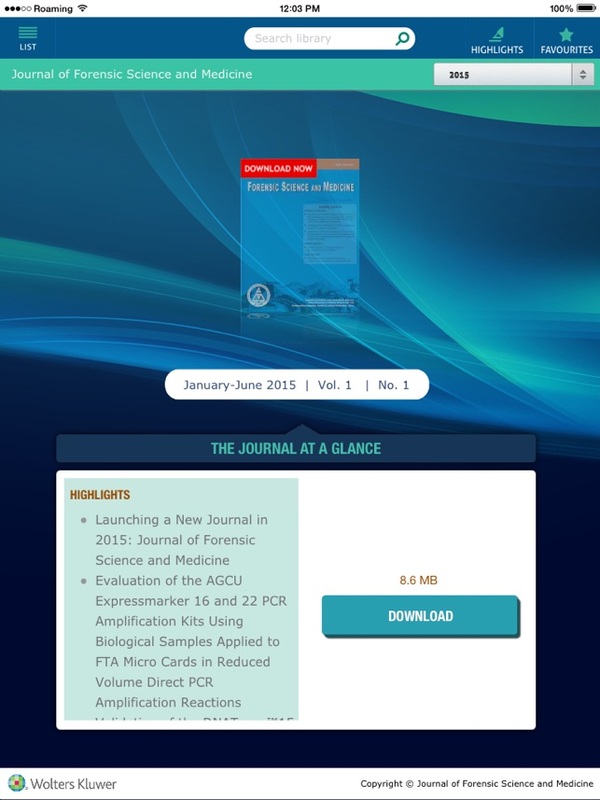 The journal allows free access (Open Access) to its contents and permits authors to self-archive final accepted version of the articles on any OAI-compliant institutional / subject-based repository. 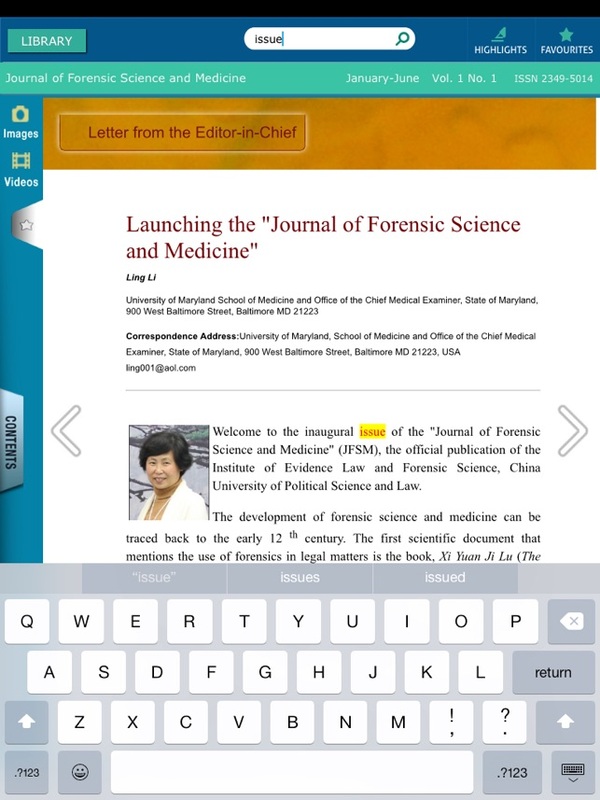 Wolters Kluwer India Pvt. Ltd.